Even though I'd never met Andy Jenkins, I knew him through his work. From 1984 until 1989, Andy was the editor of Freestylin' Magazine, a periodical that, as a teenager, probably held more sway over me than my own loving parents. Along with Mark Lewman and Spike Jonze, the "master cluster" put together month after glossy month of everything cool in the freestyle BMX world. 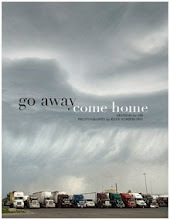 It was a much-needed lifeline straight from southern California to my hometown of Emporia, Kansas. Then, in 1989, freestyle – and the industry around it – kind of dried up. And so did the magazine that had lovingly documented it from the beginning. Eventually, everyone moved on. 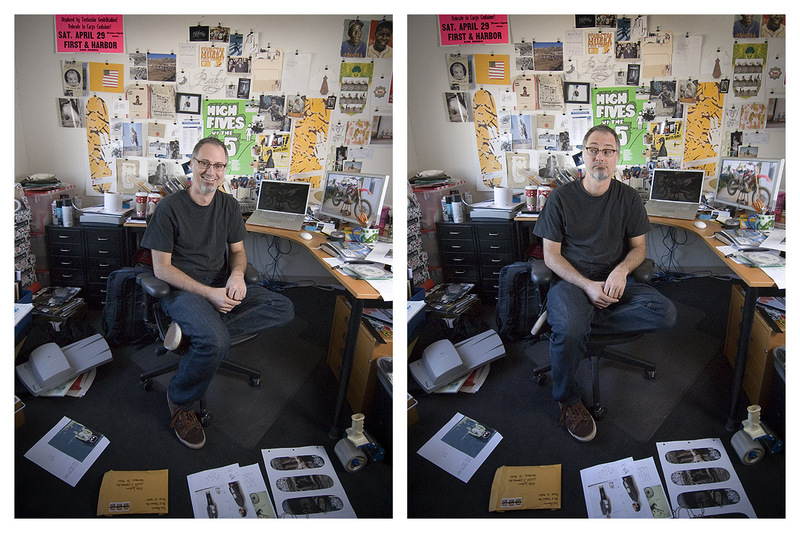 Andy went to Girl Skateboards as an art director. Lew went to work with ad agency Lambesis. Spike made some music videos, commercials and more than a few movies that you've most likely seen. When Julie and I finalized our trip to L.A., I knew I wanted to meet up with Andy and give him some prints, shake his hand and say thank you for all of the good times lived vicariously through his efforts at Freestylin' Magazine. After meeting at Girl, we had lunch in San Pedro. 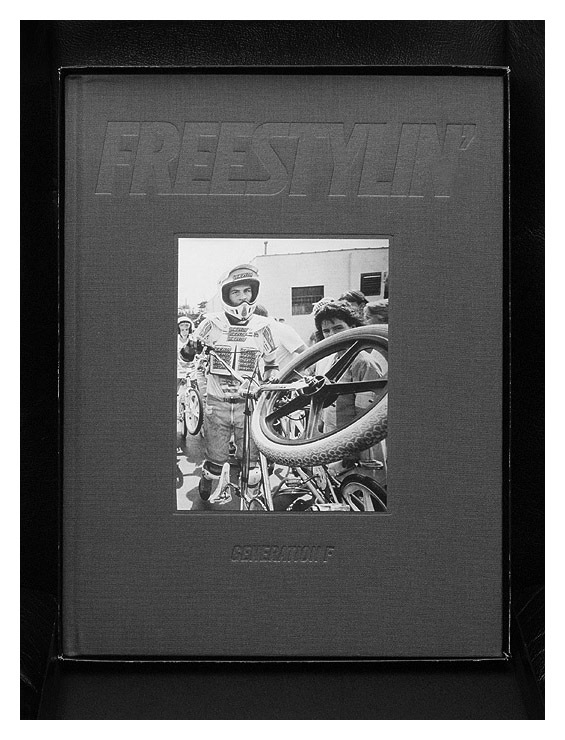 And before he went back to work, he asked if I'd gotten a copy of the very limited-edition "Freestylin' : Generation F" book, a case-bound 9"x12" retrospective of Freestylin' magazine's five year run. Honestly, I never thought I'd even see one. Thanks again, Andy. For everything.